Good Morning! 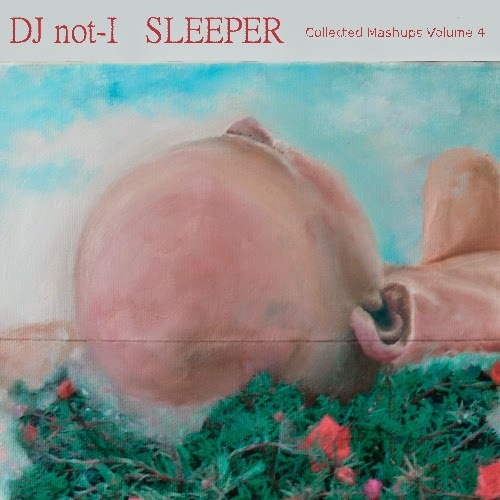 The next installment of the Collected Mashups series has finally arrived! I've called this collection "Sleeper" because of: 1.) "Sleeper (noun): someone or something unpromising or unnoticed that suddenly attains prominence or value"; 2.) Klaudia Gottwald's portrait of me featured on the cover; and 3.) My love of deep sleep whenever I can get it. Download it: Disc 1 Disc 2 (alternate links in "comments"). These mashups are all from 2009. This was a great year for me in terms of my development and new place in the mashup game. My previous work was finally getting recognized, as was my new stuff. I performed at Bootie Munich and at Bootie Vienna and played out several of the mashes featured on this album live, including "Nanafushi Bulletproof" and "Chop Synergy Dare," which are being released here for the first time. I ventured back into the 80s with the popular "Spin Shout Right Round!" and "He Got Scream," and explored uncharted territory with epic jams like "MORE Cowbell," "100 Million Butterflies," and "Raising The Small Things In Life." My mashups had decisively shifted to the melodic. I still showed love for hip-hop, but also for the pioneering adventures that had come to define my style (e.g. "Three Skies A Lady," "Phantom Sanctuary"). Despite my occasional pop stylings and apparent pangs "to be liked", I think most of these mashups are utterly uncompromising, and all the better for it. Don't make music you think people want to hear, make music you want to hear! P.S.i I couldn't decide how to order these mashups, so I (mostly) arranged them according to increasing beats per minute (BPMs). P.S.ii Don't "sleep on" Disc 2. It's not filler and includes two previously unreleased tracks. Produced by DJ not-I @ Mexikotrax, 2009. Cover painting by Klaudia Gottwald. Both the mediafire links are the same. I really gotta hand it to you. This collection is mighty enjoyable, & impressive. Many thanks for granting access. Thank you for your kind words, Useo! I'm pleased to hear you enjoy the album. Still Fresh, Thjx much man!